Established in 1979, Alair is proud to be of service to many small, medium and corporate companies in Gauteng. Alair is one of the longest established air conditioning companies and 34 years of experience makes dealing with us an excellent option. We will recommend the right brand and application to suit your requirements and environment. We guarantee that our work will be done professionally and competently. We are involved in all aspects of air conditioning. Included in the service we provide are repairs, servicing, installations and the sales of various makes of new air conditioning. We are agents for all the major makes of air conditioners and keep stock of most air conditioners and spares. A number of our clients have been using us for more than 20 years. We enjoy an excellent working relationship with all our clients trying to achieve a friendly yet professional work ethic. References can be acquired should you need them. Alair also provides filter and service contracts as preventative maintenance for the longevity of the air conditioners and to save on costly breakdowns. This will also extend the warranty period on new air conditioner compressors (motors) on certain makes where specified. Alair was started in 1979 by Mr Alan Hobbs. 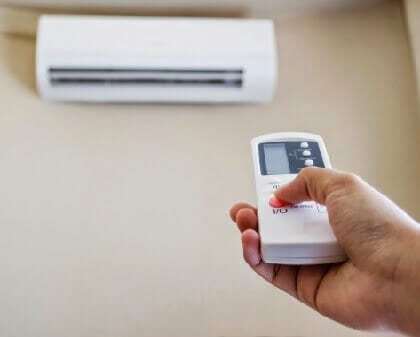 The company started with a vision of being one of the leading air-conditioning supply, repair and maintenance companies in and around the Johannesburg area. Since inception the company has grown from strength to strength. Since David acquired the business he has expanded certain aspects and will strive to continue doing this as we offer our customers a professional and knowledgeable service. Our aim is to offer a service to ensure the products being supplied are of the highest standard and that our services are professional at all times.